Hotel Armonia Boario Terme, Hotel Italy. Limited Time Offer! Hotel Armonia. "Hotel Armonia" has received 3 stars. 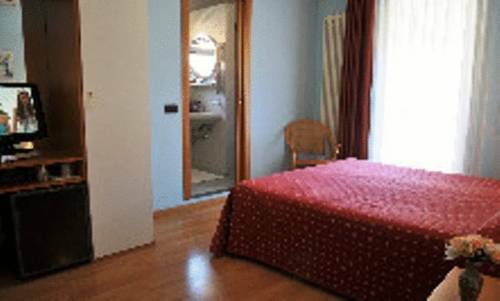 The hotel is a convenient base point for visiting Boario Terme. For visitors' well-being, there is a spa available. The residence includes a restaurant for your gustatory enjoyment. If you need to keep an eye on your work, there is free of charge Internet access available. This 4-star hotel is set in Erbanno, just outside Darfo Boario Terme. It offers a modern wellness centre with indoor pool, and air-conditioned rooms with free bathrobe and slippers.